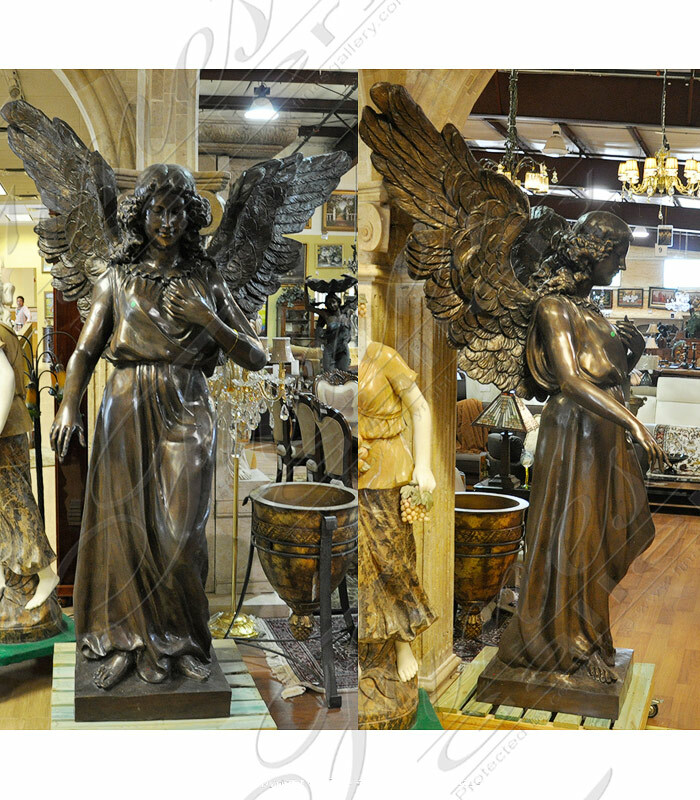 A Monumental Bronze Angel Statue standing at over 7 feet in total height. Created through lost wax process in pure high quality bronze. Available to be purchased along with marble or granite pedestals. Engraving also available on natural stone bases. Yes I would like more information on BS-1302.